July | 2017 | Peroglyfer – Machine Learning changes math. Math changes everything. Idea – Linux Distribution For Projectors? Projectors are an important e-learning tool in schools. So why should there not exist a Linux distributions for projectors. Here there is a chance to make a first impression. What would be expected of a Linux distribution to be projector friendly? I mean a desktop is different from a phone os. So maybe something else could be done for the projector experience? The guess is simple. Turbulence looks as if it has random elements. Random is used for generating solutions for computational problems. This should mean that turbulence is not a side effect. It is suppose to solve a problem. So my guess is that is that if you have a construction that has a turbulence problem it is probably better to make a new type of construction. Machine Learning Idea – Should There Exist Super Recognition? I speculate that there should exist recognition beyond 100%. Take free will for instance. Since you can classify simple robotic behavior from living things. You can recognize free will. So the idea is that life started with more robotic behavior and very little free will. This because very little free will is easier to achieve through random events. The super recognition is then needed because 100% recognition of the early free will is still very crude. Then setting the target of a generative process to maximize the score and updating the recognition would give you more than 100% recognition. Compared to the orginal data. So maybe there should exist something like unsupervised ranking. That is. Putting objects with nearly the same quality into the same group. Here the algorithm could perhaps use two objects with a predefined ranking. An easy problem would be if the two objects represented the highest and the lowest score. Placing the rest into n groups should then be a lot easier. Then with super recognition you could perhaps generate music that sounds better than the input data. So I speculate that there should exist something like super recognition so that you always can say that object A is better than object B.
I wonder if it could work by enhancing the weight matrix. If the weights are turned into parameters. That is. 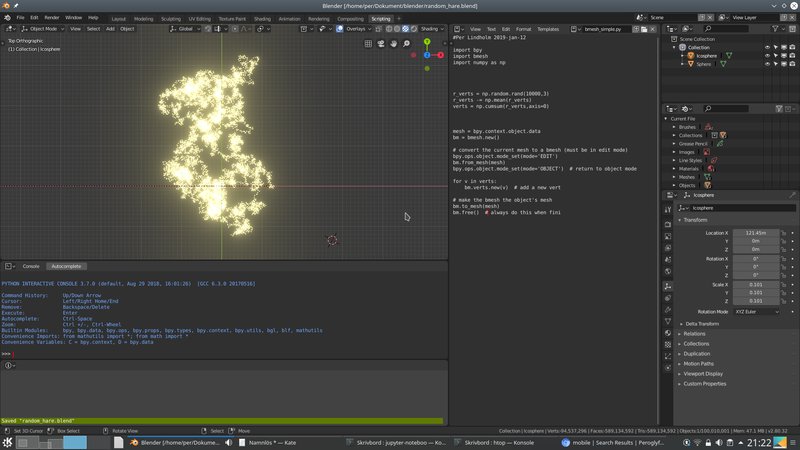 The parameters are data for a smooth 2D image. The image is then used as data for the actual calculating weight matrix. Much bigger. Then the image could follow ?simple transformation when more input features are added. Maybe then it could be enhanced with post processing filters at same time. Improving the filters would then also improve the network. Filters could include noise reduction, detail or sharpness. TV Program Idea – Tools For Livelihoods? Everything can be classified into groups. Its the core of machine learning. Therefor should not the tools in poor areas or slums be classified into groups. The reason is that you can adapt them for the environment and needs. So the idea that these food making machines or tools are cheap to repair, can be run on limited solar power and be effective enough to make money out of. The real potential for solar energy could very well be for enabling electrically enhanced livelihood and elevated standard of living. One idea could be for a TV program like Mythbuster to develop needed machines. Mathematical Guess – Make Use Of Different Random Distributions At The Same Time? Could you improve Monte Carlo simulations by using input from different classified random distributions. What I guess is that machine learning could make something like a ?focus point where the result will converge. So the idea is to use different distributions like normal and uniform with different parameters and feed it to a machine learning algorithm. Then see if it could be used to make the problem solution converge quicker. What I would like is for the 2D software like GIMP or Krita to be able to handle 3D objects. I think even simple low poly objects can work wonders for 2D drawings. You just create 3D objects like cylinders and boxes as drawing guides or helpers. With this you don’t need to rotate the image in your mind. Just rotate the outlining 3D object for a new view. Also. 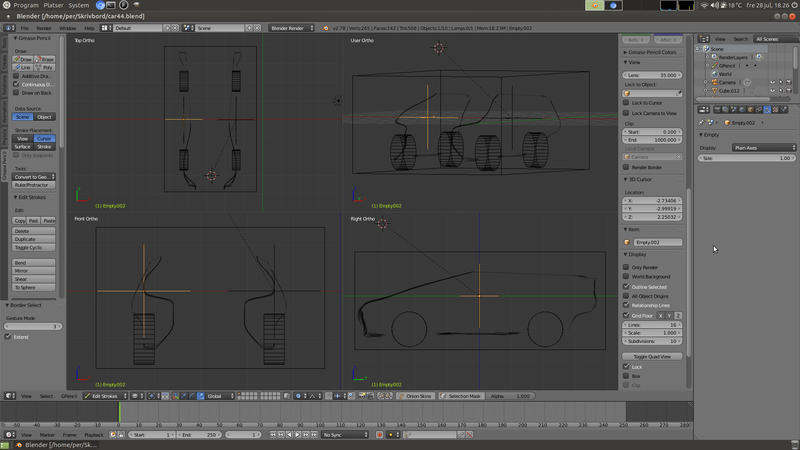 Like here in Blender you can layer in 3D and move or bend lines in 3D. Some A.I software could perhaps know where the line is in 3D space I would like it to be or present some suggestions. I tried to draw in 3D but the line was drawn in the wrong plane. Here machine learning could perhaps choose the right 2D plane in 3D space. There are probably a lot of single board computers like the raspberry pi that are just sitting idle. An idea would be to have a second-hand site for these. There are several reasons for this. One is that you might think you have to many of these boards and you want to buy the latest but you don’t want to discard useful technology. Another is that maybe people don’t know what to do with the computer until you try some programming or projects. Physics Guess – Could Much Heat Effect Gravity? After watching sonoluminesence. I wonder. Could very high temperatures (?20 000 K) affect gravity. I mean. The bubble seem to stand still. Even if this is caused only by the sound generators. Two stabilizing effects could take place at the same time? From this I wonder if the sun could adjust its gravity. I mean. For a large hot object. It would not be so safe if it took off in some random direction. Or having its surface move like a ?tidal wave. Having a temperature of millions of degrees. It has plenty of energy for this would be ?smart adjustment. I would be surprised if such a large hot object like the sun cant adjust a so important parameter like gravity even a little. To spread solar in rural Africa and elsewhere where access to electricity and Internet is limited. I wonder. Could the cost of a solar kit be partly payed by ads. The idea is that you store good music on a memory in the battery device with ads in between the songs. If the music is good then people will listen to it and at the same time local and city businesses can reach out. So the idea is to equip the battery device in a solar kit with a built in digital music player and upgradeable music. Perhaps the ads can be updated by the phone signal. Mathematical Question – Could You Use Machine Learning To Find The Shape Of A Number? We have the numbers 0,1,2,3,4,5,6,7,8 and 9. But what are the most accurate or best shape of the numbers? That is. You don’t know exactly what a number looks like. But you want to use calculations to find out. So my idea is would be to use machine learning and an evolutionary algorithm to generate the shape of the numbers. The idea is to use unsupervised learning for a set of number images that start with random pixels. The strategy is that the images gets the right label from different relations. That is. You could have the problem to cluster the images into odd and even. So it would happen that picture1 gets label ”odd” and picture2 gets label ”even” and so on. Based on the miss classifications you get for every thinkable problem. You then use an evolutionary algorithm to evolve a better picture0 to picture9. One such problem could be to use an ?active handwriting filter to see if the pictures produce good output. Also rotating the numbers could reveal that the typical 6, 9 problem and be a cause for the recognition and genetic algorithm to change the picture representations. This startup idea is simple. Why not sell water in the coffee automat machine. Reuse your thermo coffee cup for some ice cold water. I’m amazed at the progress of the countries in Africa. I think they got many good ideas. Therefor I am a bit worried that gained freedom could turn into a disaster. Not everything needs to be fixed at once. Idea – Site For Global Fire And Accident Prevention? Why not have a site which targets the goal of global fire and accident prevention? A lot of household product are the same. Therefor a lot of risk are the same. Not everyone knows the best ways to avoid accidents. So why not a site that addresses these. I don’t think youtube is the best choice for questions of safety. To find new innovative products I think you can use machine learning or AI. Here is an example of a ?unlikely innovation hit by youtube video selector. The connection is simple. A flashlight or helmet light that uses multiple LEDs in different directions. The idea is that you program machine learning searches that humans then can use as easy inspiration or guide. The idea to use AI for innovation I think is very important for our ability to handle future challenges. Climate and more. I tested my simple aiptek tablet with a smartphone. It worked better than I expected. So good in fact that I am convinced a standalone bluetooth pen. Capable of drawing on a table. Acting like a drawing mouse on the smartphone screen. Is a very good product. If you make it as cheap as a pc mouse than I believe it could be a very important accessory to the phone. Drawing on the phone screen is not very smart since the size is so small. Better to use the whole table area and a blue tooth ?mouse pen. 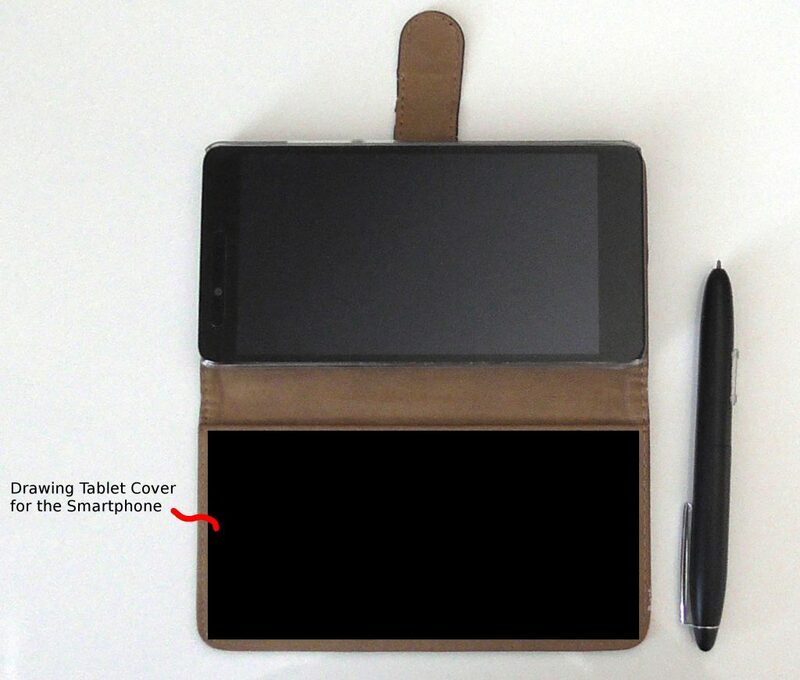 Or like a drawing tablet cover like the below image. Engineering Idea – Should There Exist An Acceleration Fuse Plug For Consumer Products? I wonder. Since you probably have a sensor in your phone that senses acceleration. Then would it not be good. If it so happens that you drop any household product. That the power is cut. It could also be that the product is lifted when the power is on which is very dangerous. Then I think we should have a sensor should that cuts the power. So with this you can not easily endanger yourself and only charge the phone safely. With information abundant on the web in the form of news articles and perhaps low earnings. A better job idea for Africa could be to create online courses. A ”Pay what you want” option might make it easier to get started. There are plenty of programming and IT courses I wish existed. Come to think of it. I believe this could be an excellent strategy and motivator for learning a profession. You study for the type of developer you want by creating a course in it. I think every township in Sweden needs a public hub for people to get together and explore different opportunities. Further I believe you need to create markets. One such idea is to take a solar powered projector and open it up for African makers of e-learning courses. This way you have something like offline MOOCs in rural areas. At the same time you create all the benefits associated with having markets. Which is important for sustaining progress. Physics Philosophy Guess – Smart Light Emission? Everything should be smart so why waste light. Inspired by Blender 3D raytracing engine. You can set the number of samples the software will use. But for many scenes the amount of samples will never seem to be enough. Could this problem also exist in the universe? I mean. The energy conservation law gives you a limited amount of light or samples you can use. But the images of reality we see are not noisy. From this I wonder if there exist a smart photon emission decision system in physics. Blender has this smart denoise filter for different classifications of raytracing functions. Inspired by this I wonder if there exists a physics system. With several denoise filter layers. That gives back decision information to the atoms. The idea is that the universe cant afford to waste energy so it has to scatter light as smart as possible. Philosophically we could have experienced a universe with much noise or much blurriness (few samples). But if the universe is smart then there should exist other possibilities. So inspired by Blenders smart denoise filters. Could light exist as different types of waves? Depending on the light path. Be that transparency, diffuse, glossy, transmission or volume. The reason is that this might make a smart smoothing of the image somehow. Without loosing detail. So the idea is to see if machine learning could be used to create a ?wave function that produces a clear and fast image in 3D software. By a similar problem guess. This should indicate whats happening in the real world also. Battery Idea – Should There Exist Solid Material Clouds? Since there exist clouds together with lightning in thunderstorms. I wonder. Could there exist materials that act as solid based clouds with beneficial electric properties? Startup Idea – Family Newspaper? As a way to save money for the reader. We should perhaps have a family newspaper. Something for the whole family. Everything from drawing/reading exercises, raspberry pi education, science to regular news. All bound in one newspaper. So the idea is for a startup to put together a “newspaper” filled with articles for the whole familiy. Agriculture Guess – Could Adapted LED Street Lights For Farm Land Improve Growth On Cloudy Days Or In Cold Climates? We now have cheap effective LED lights. So I wonder. For outdoor farming not garden houses. Could there exist crop variates that can take a colder climate only the amount of available light is the same. I mean. This can be huge if this is a possibility. Also for cloudy days. Could growth be kept at optimal levels with optional outdoor lighting via something like LED streetlights. The idea is simple. Art and science has gone together a long time. Imagination is important and comes from advancements in art. Now in machine learning I guess the situation is the same. We could use the strategy to advance art using machine learning to get some more useful science. So the idea is to mix and come up with new machine intelligences to create music for instance. That is. Better art might require new algorithms that then could be used to advance science. I think the strategy is faster since there exist much art material that we can compare with which is important in machine learning. Swedish Battery Factory – Could This Lead The Way To A Super Battery? The guess is that there exist different classes of batteries. Then there could exist a super battery. These might not be mobile class batteries but vehicle class. How do you get to a super battery. I guess you can watch natural energy devices like the sun. But what comes to my mind is volcanoes. A lot of energy is in motion there. There is something about the smell sulfur. It is as if the brain tells me there energy transformations here. It feels almost genetic. So if the brain suspects a smell has something to do with energy maybe there is some truth to it. So the idea is that you could set generate new types of batteries by smell association. Are there other smells which some people associate with energy? So what type of battery could do with sulfur. Does there exist volcano chemistry? Strategically, I think this is an excellent opportunity for companies like Ericsson to make a comeback. With a much wanted product you can pretty much get into any market. Inspired by volcanos. 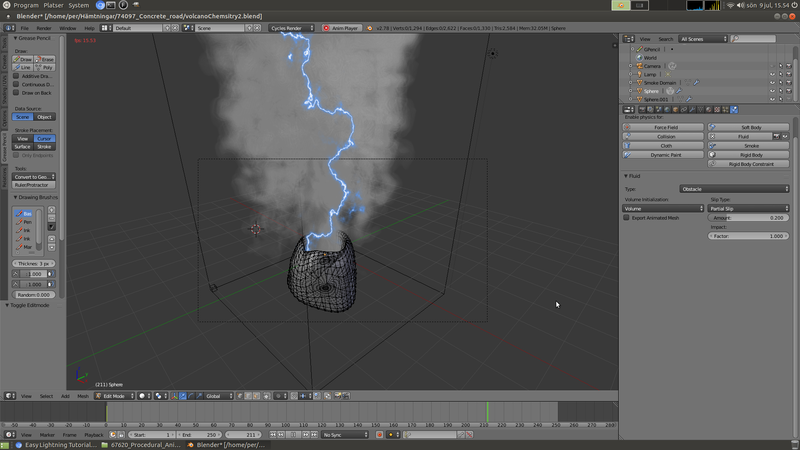 Could smoke enhance the effect of electricity? I mean it could happen naturally with lightning so what if physics is or rather ?gets adapted to these naturally occuring events. Maybe can this knowledge lead to a battery system that have recharging periods with minimal exhaust. A fuelcell together with a battery in a system? With this you could restrict charging while driving in areas affected by smog. So you have a smaller fuelcell together with the larger battery. Physics Guess – Could There Exist Two Energy Systems? If everything has different classes. Why not forces. I mean. What is a smart force. Could it be a network of some kind acting at a distance like spooky action. How can different events be recognized as coming from a force. Could it be that the result is not random? Then I thought. Should not this affect energy. So to solve this I wonder if energy could also classified into different groups. One being a network type energy. This way you don’t break energy conservation laws since the two energy system are ?independent. Just some thoughts this 6 jul 2017. Battery Guess – Machine Learned Chemistry? Inspired by the complexity of plants. I wonder if there could exist machine learned chemistry. Maybe this can be useful for batteries.